I have mentioned that I’m a packing wizard, and shown off my small backpack containing two week’s worth of clothes, so it only seems fair to tell you what’s inside it! When I get home, I’ll be sure to report back on whether or not I made the right clothing choices. 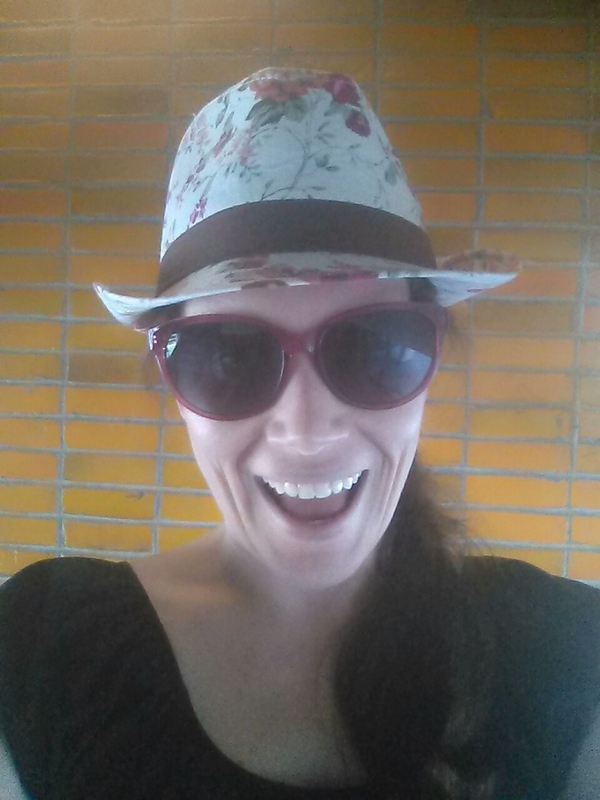 This is my amazing hat and sunglasses. They also feature later, but I love the hat so much that it deserves two pictures. 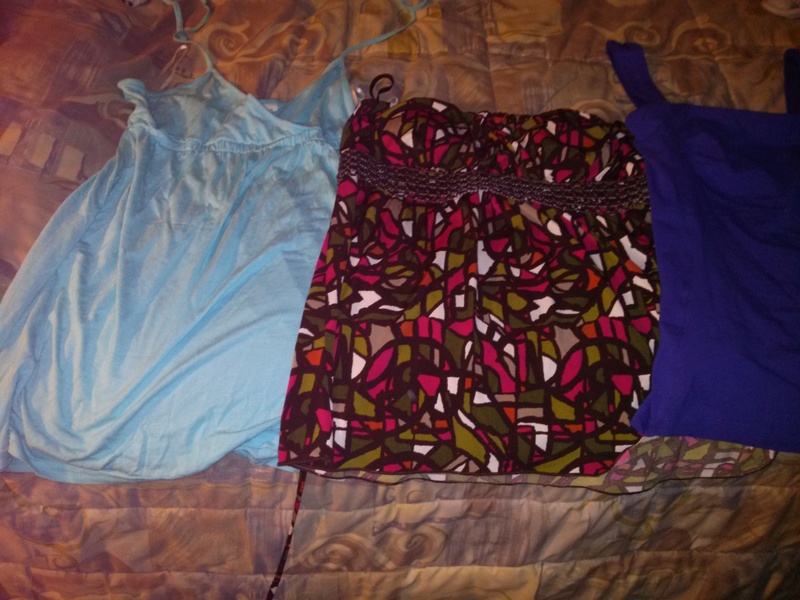 I am taking three dresses. 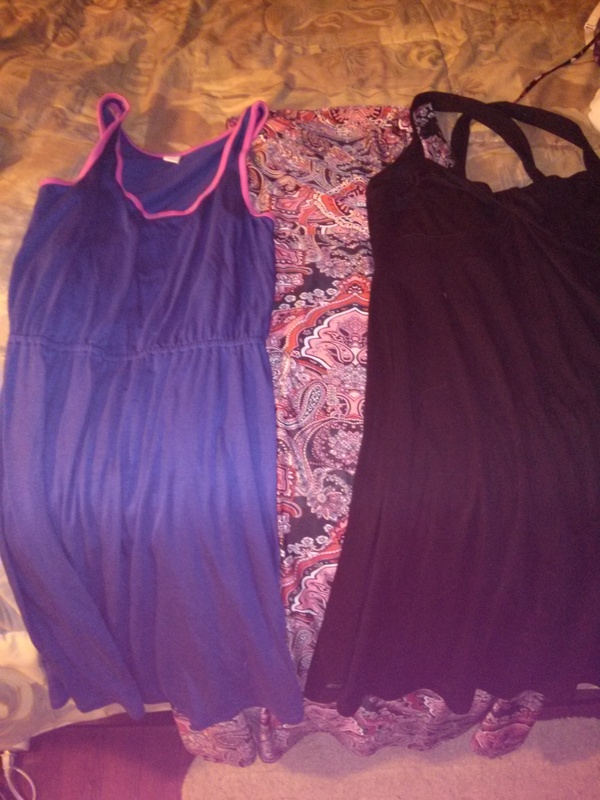 The blue and black are both knee length and flowy. The paisley patterned one is full length, and also doubles as a skirt. I would quite happily just wear the three dresses over and over the entire time we are there, so I expect them to be in a lot of pictures. I am taking two bathing suits, because I anticipate lots of beach time and swimming. We have some waterfall treks, plus snorkelling adventures, and I know in our free time we will want to go to the beach. 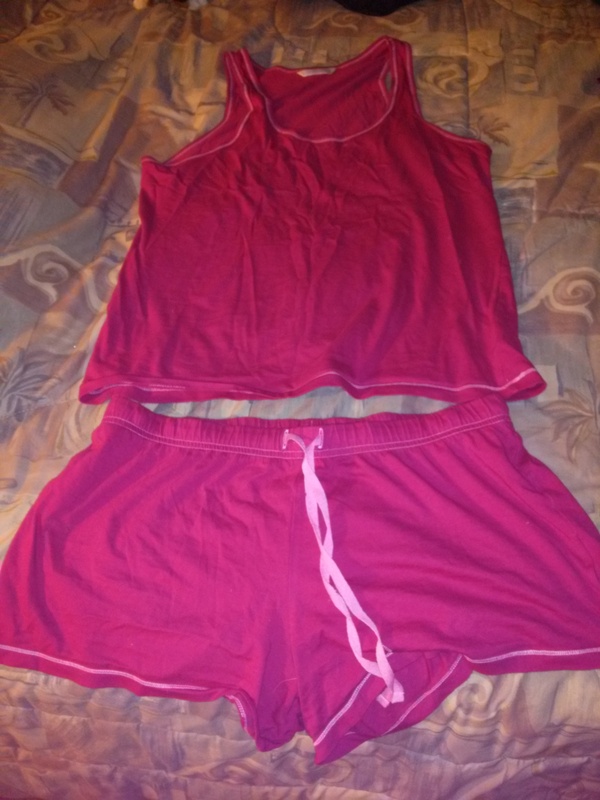 I wanted to have the options of both a one-piece and a two-piece, depending on what we were doing. I actually bought the bikini for this trip. I’ve worn it a few times already, and I love it! I got the white cover-up for $8 before I went to Florida this year, and I wore it constantly. It is amazing. I would never have thought to put pockets on a cover-up, but it was the best idea! 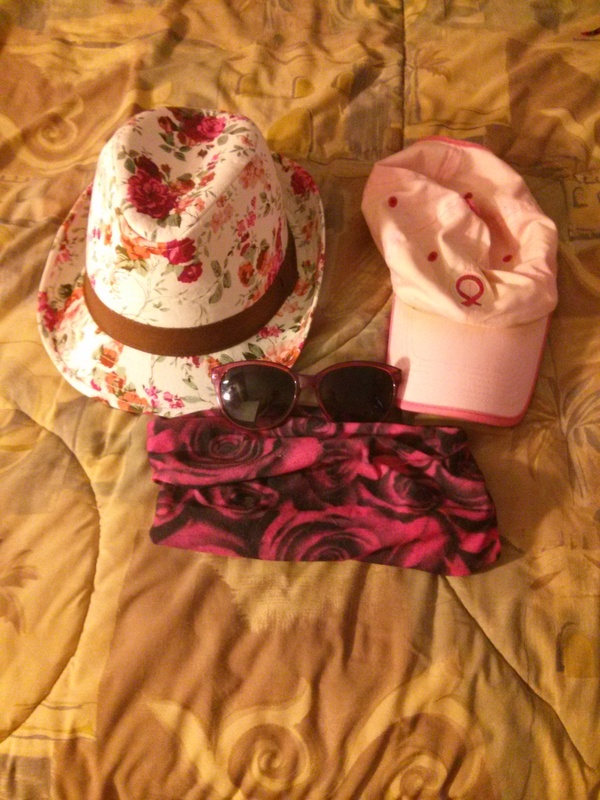 The breast cancer hat and the purple sunglasses have been to many countries on several different continents. I’m counting on them to keep me sun-safe in Bali. The flowery fedora is so not my style. I bought it not knowing if I would be able to pull it off, but basically have not wanted to remove it from my head since. I bought my buff in Nepal, and will definitely be using it for all of our treks. 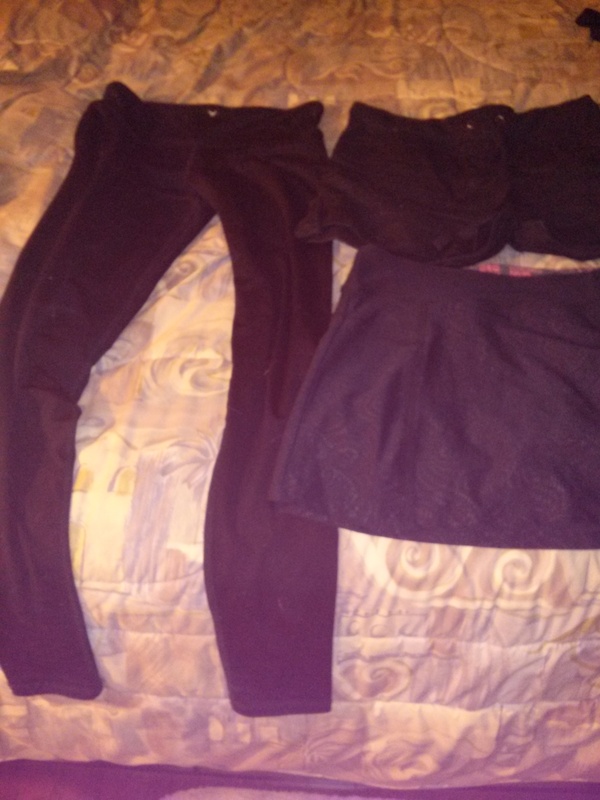 For bottoms, I’m taking one pair of full-length black leggings (to wear on the plane), a knee length pair of grey gym capris, a pair of black shorts, and a black running skirt. 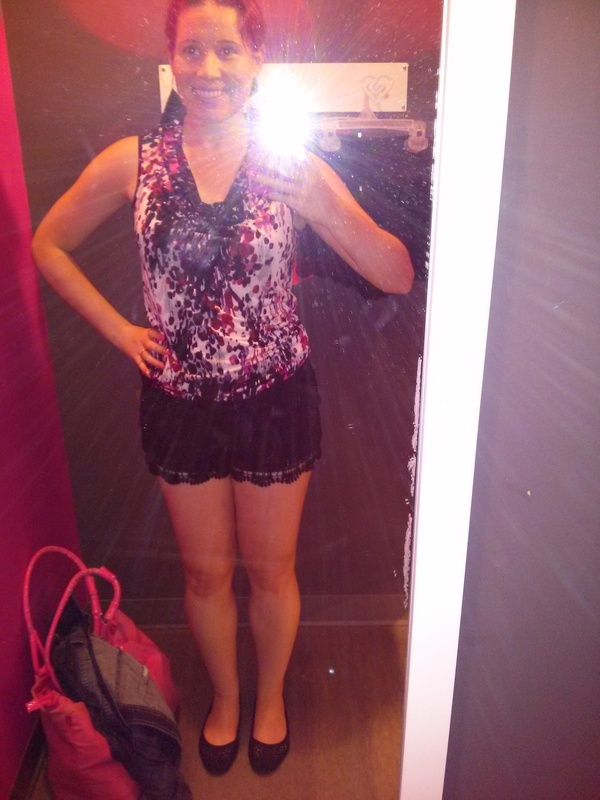 I bought a pair of black lace shorts on sale at the end of the season because they pair I had packed was way too big. It will definitely be good to have the options. I almost didn’t bring the grey capris, but I have room in my bag, so I might as well throw them in. They could be very useful on at trek that involves a lot of climbing in and out of the water. 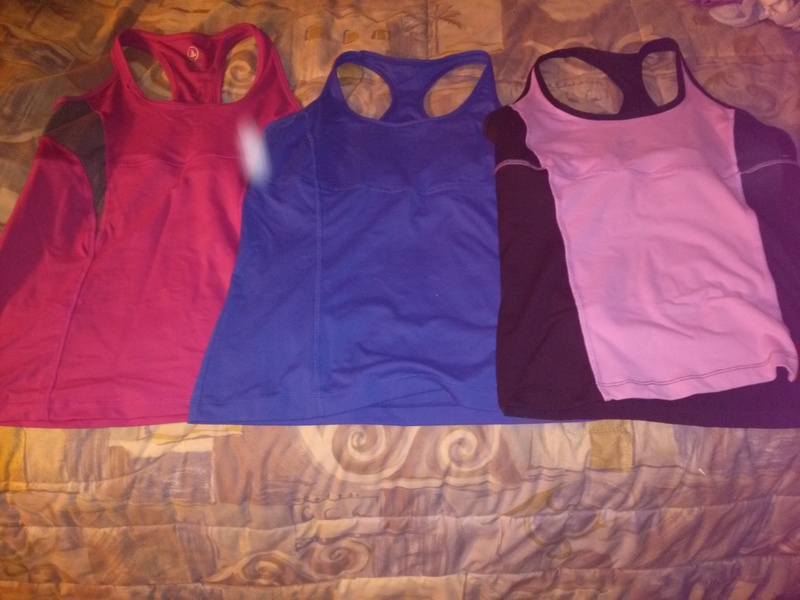 Three less casual tanks to wear with my shorts, skirt, and on days when we aren’t super active. 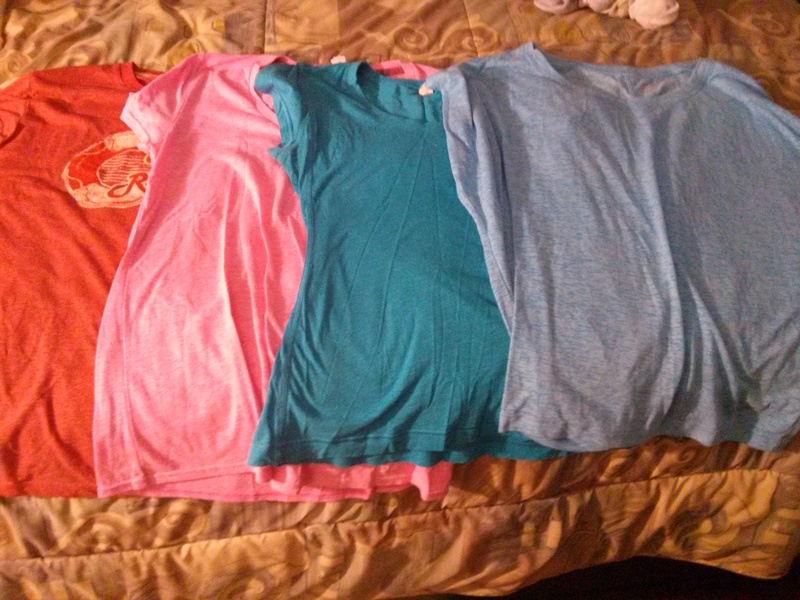 I also packed four gym t-shirts. The orange one is for the plane. I often worry about getting a sunburn on my shoulders, so I want to have the option to cover them up if needed. 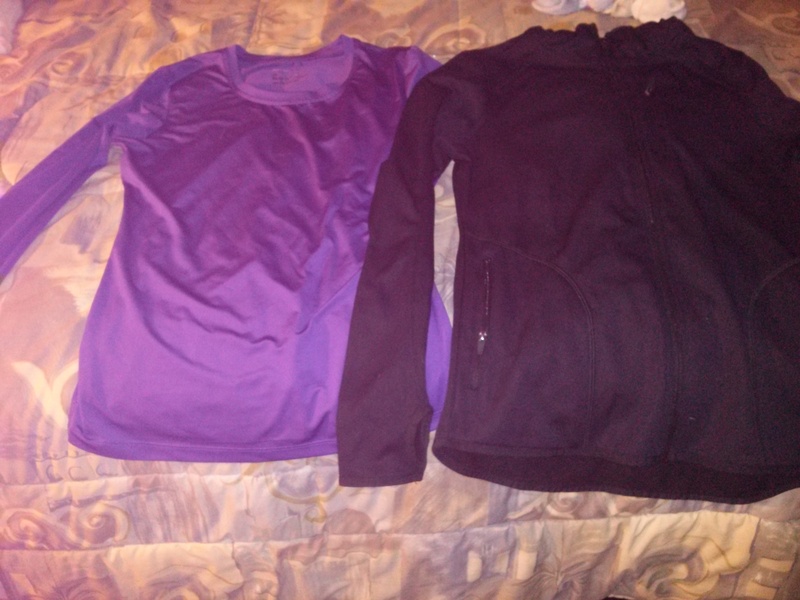 Speaking of covering up, I have a long-sleeved shirt to wear in case it is somewhat cool, and a hoodie in case it is quite cool. I will also be wearing the hoodie on the plane, because I can never get warm on planes. I also packed my Sun Veil, which has protected me from extreme sunlight in Africa, South America, and Asia. I’m so fair that I can’t do without it. It fits me perfectly, and fits my colour scheme. Sun Veils are expensive, but I have gotten so much use out of mine that it was definitely worth the investment. 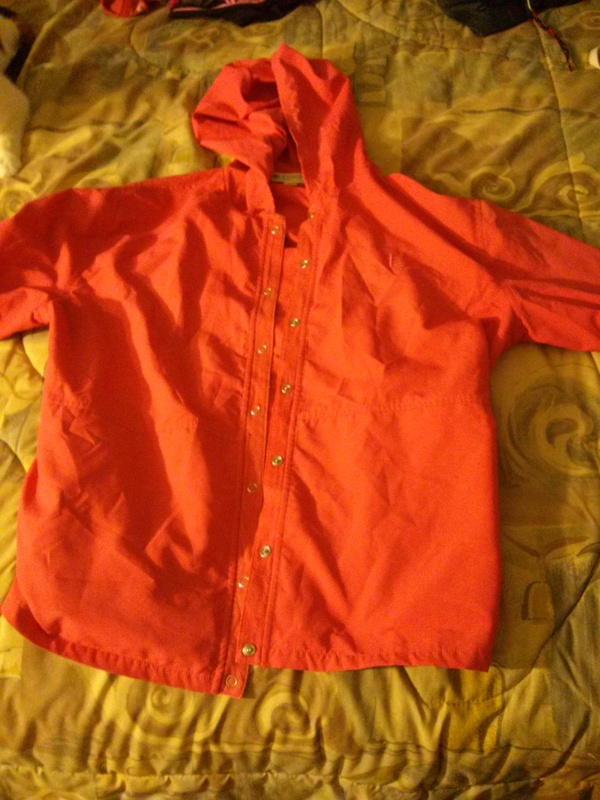 I’m also taking a raincoat, which I forgot to photograph, and the usual socks, underwear, etc. I hope I’m all set! The weather seems like it is going to be beautiful, but I want to be prepared for everything!